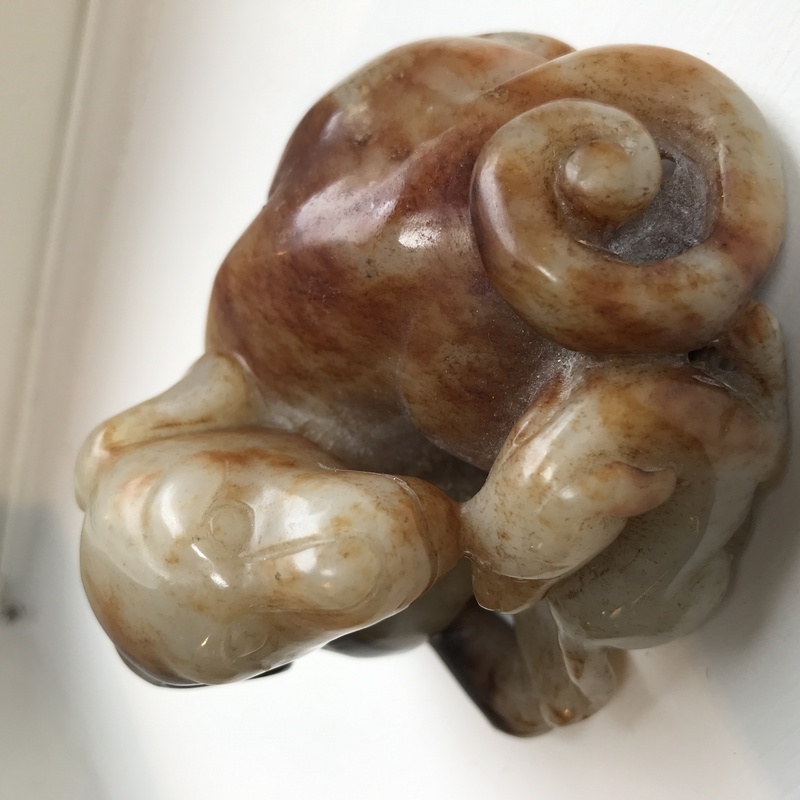 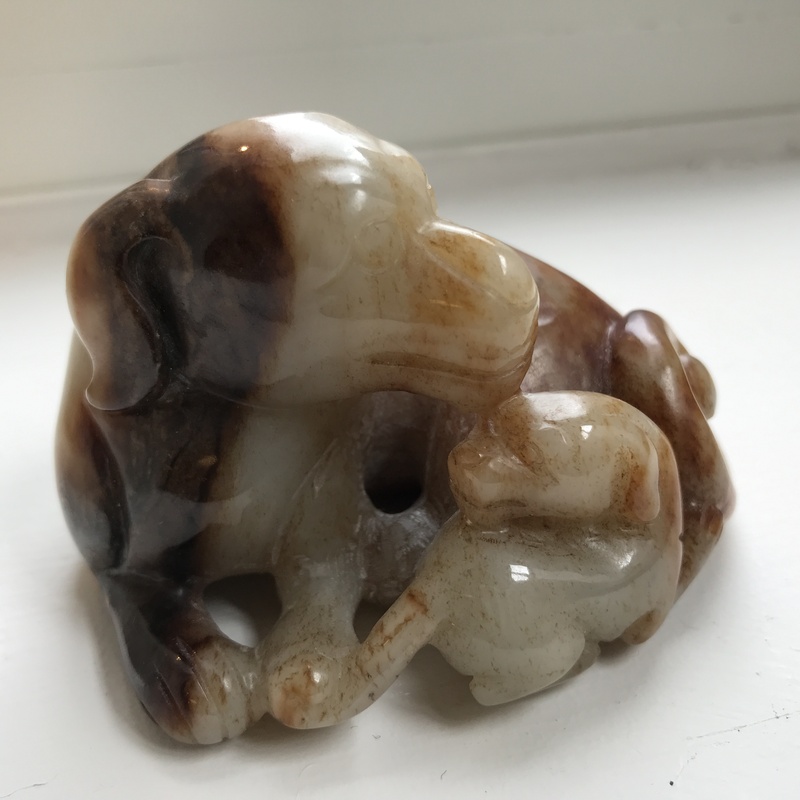 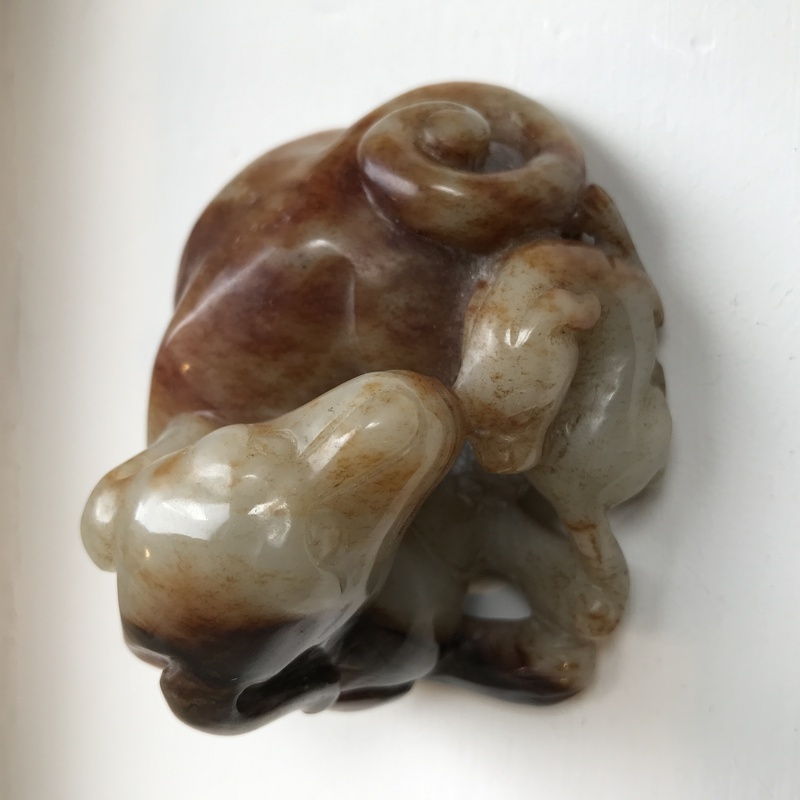 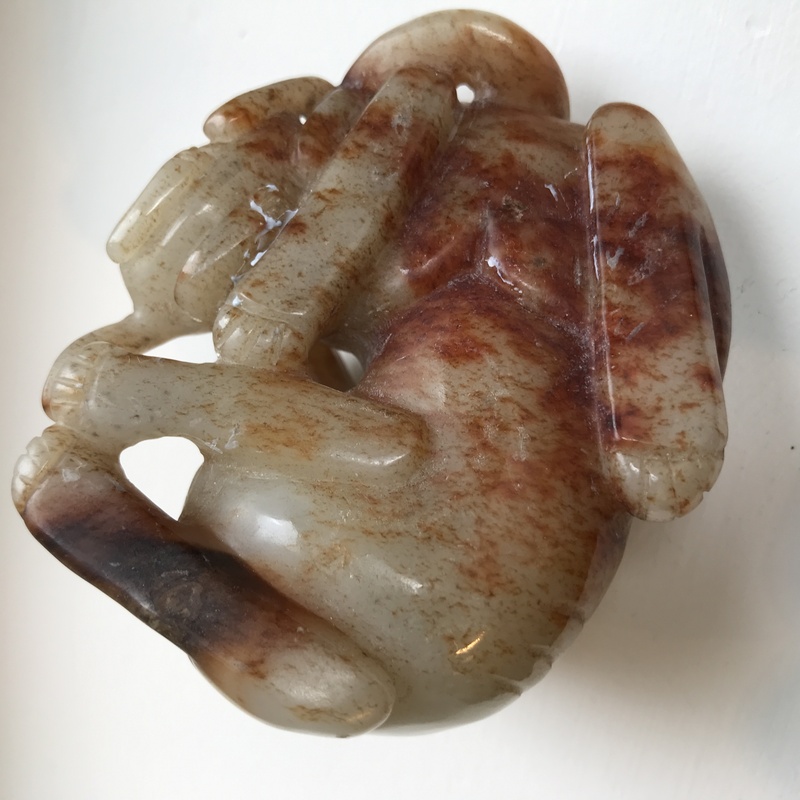 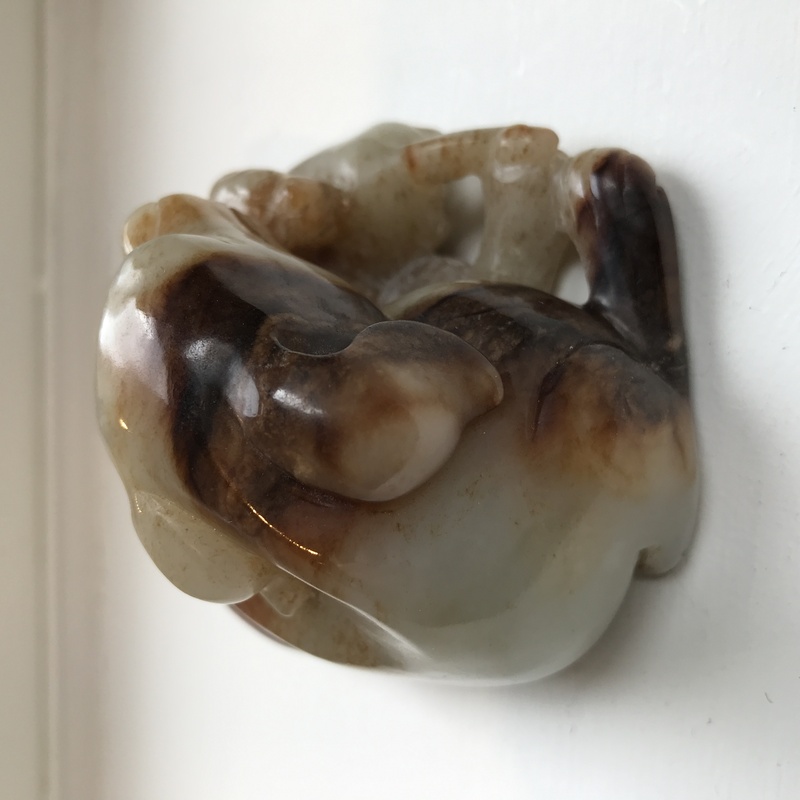 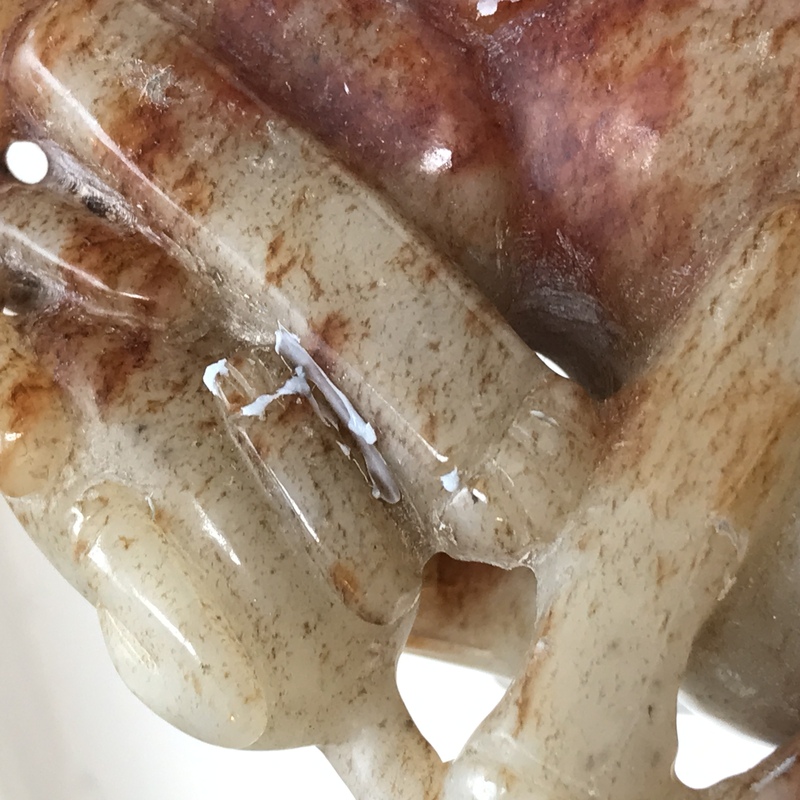 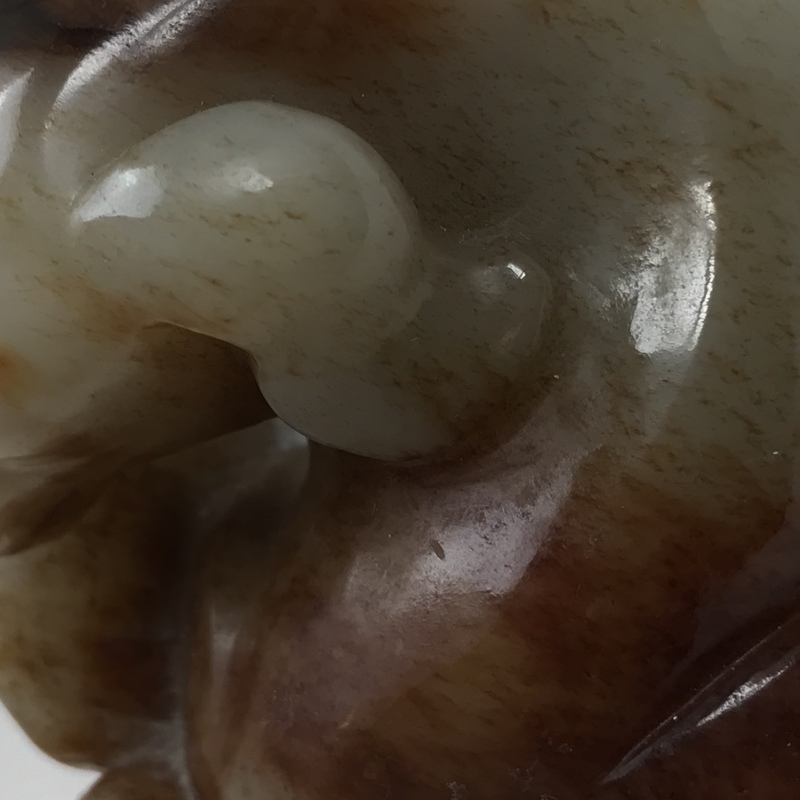 Jade Carving of a Dog and Puppy, China, the dog reclining with its head turned towards the puppy, celadon stone with russet to dark brown markings, ht. 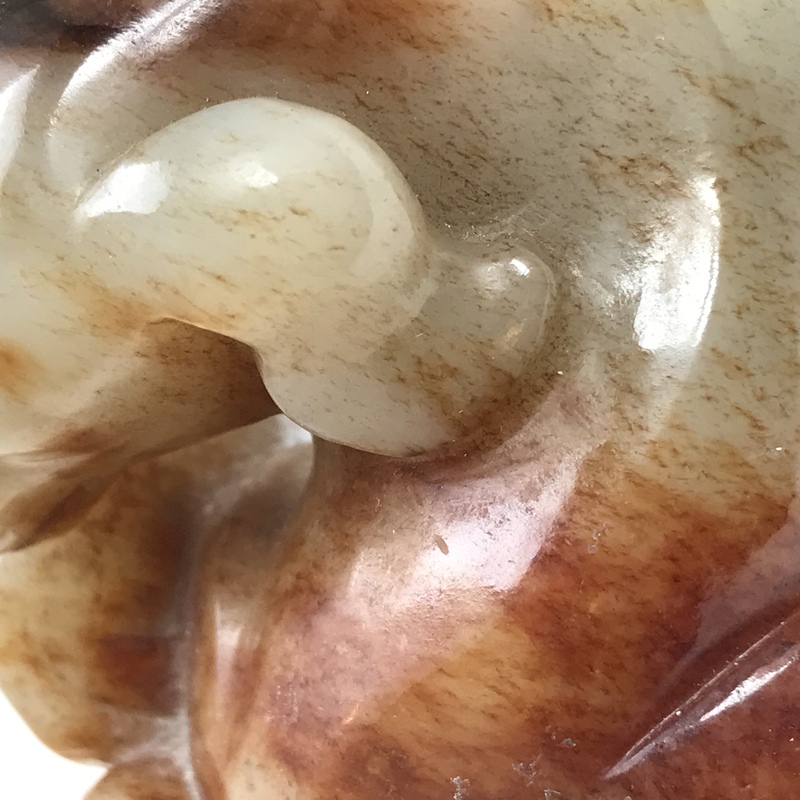 2 1/8, wd. 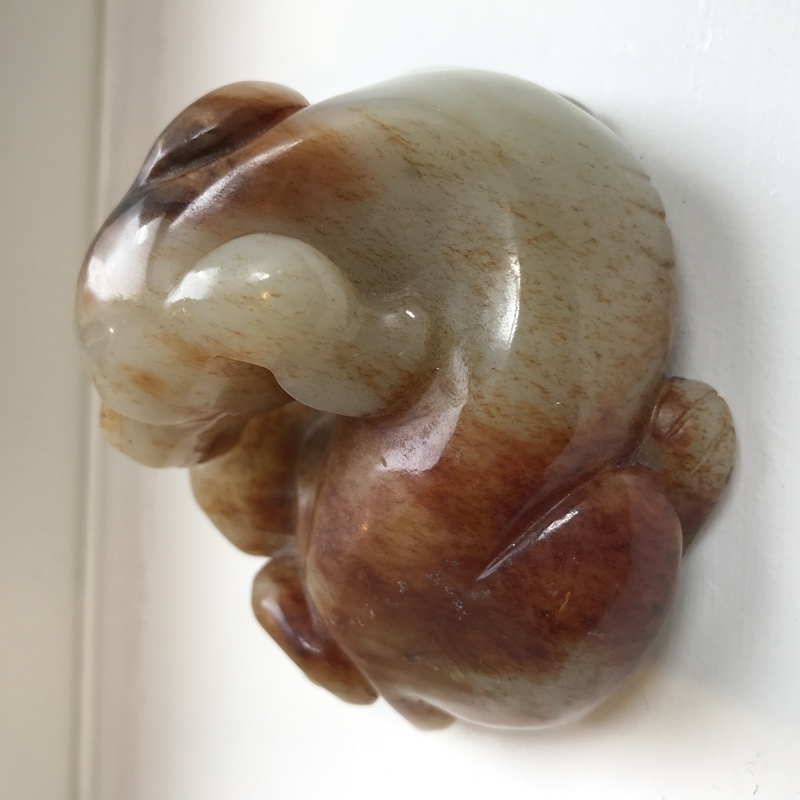 3 1/4 in.